Our neighbor Alexandra is a licensed tour guide in Lucca. 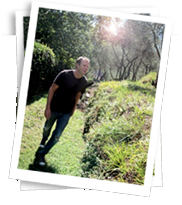 She offers a 2-3 hour walking tour of Lucca’s historic center. This is a great introduction to this fascinating city and many of its hidden treasures, that you wouldn’t notice without a guide. 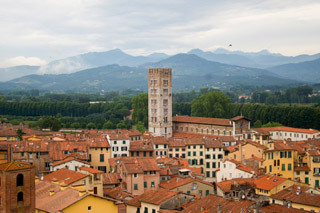 If you’re staying in Lucca, the tour will get you oriented for the rest of the week, and you’ll see Lucca in a whole new light every time you return during the week. 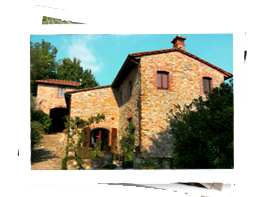 Price: 220euros (total price, not per person) for up to 14 guests. We are a group of 8 adults who enjoy cooking and drinking wine. What a perfect match to Villa Aquilea! The cooking class and pizza night with James were highlights at the villa, and “Butterfly” restaurant was spectacular! We enjoyed other culinary finds on our day trips in the area. The view from the villa is the best in Tuscany! My husband and I visited the Villa last August and I still can’t believe the vivid memories of the house, flowers, the pool and the wonderful people in the surrounding town of Lucca. I can actually say to friends that I cooked an Italian meal in Tuscany. We visited Florence and Pisa during the day and then cmae back to this beautiful place in the evening. We watched the movie Under the Tuscan Sun while visiting and then looked around and it was not a movie it was real. We would recommend the experience to anyone.